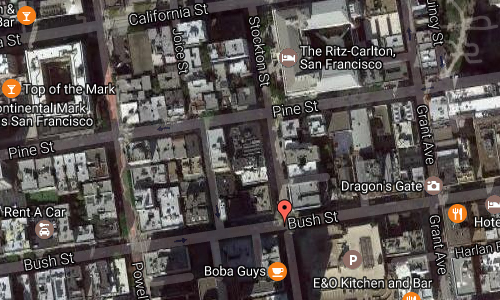 Bush St and Stockton St are two streets in Nob Hill in Down Town San Francisco in California, USA. 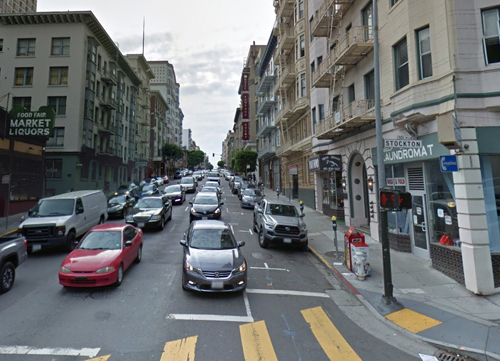 At this crossing with Bush St and Stockton St, the Stockton Street Tunnel begins, a tunnel in San Francisco, California, and carries its namesake street underneath a section of Nob Hill near Chinatown for about three blocks. The south portal is located just shy of Bush Street, which is about two blocks to the north of Union Square. The north portal is located just to the south of the Sacramento Street intersection. The tunnel was primarily built for the streetcars of the now defunct F Stockton line, and inaugurated by mayor James Rolph on December 29, 1914. Construction involved lowering Stockton Street near where it passes into the tunnel from the South, evidence for which can still be seen at the building of 417 Stockton Street (Mystic Hotel), where the basement became the ground floor and the former front door is now a visibly marked window bay on the second floor. 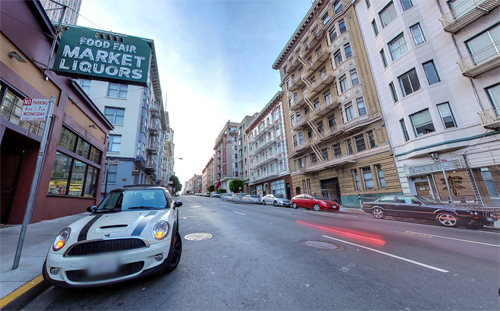 Nob Hill is an affluent district, home to many of the city’s upper-class families as well as a large young urban professional population, and a growing Chinese immigrant population from Chinatown to the east. 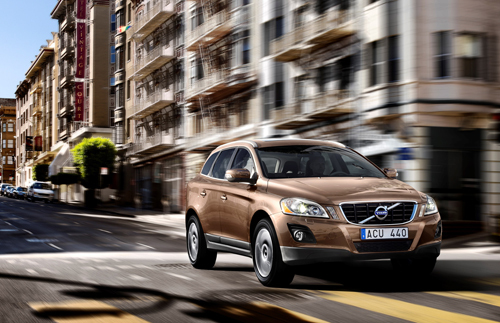 Nob is disparaging British slang abbreviation of “noble/nobility” referring to the monied, often titled upper-classes. The location is also derisively referred to as Snob Hill. 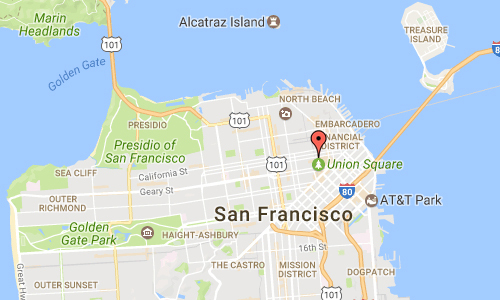 The intersection of California and Powell streets is the location of two of its four well-known and most expensive hotels: the Fairmont Hotel, the Mark Hopkins Hotel, the Stanford Court. The Mark Hopkins Hotel and the Huntington Hotel are located one block away at Mason & California.